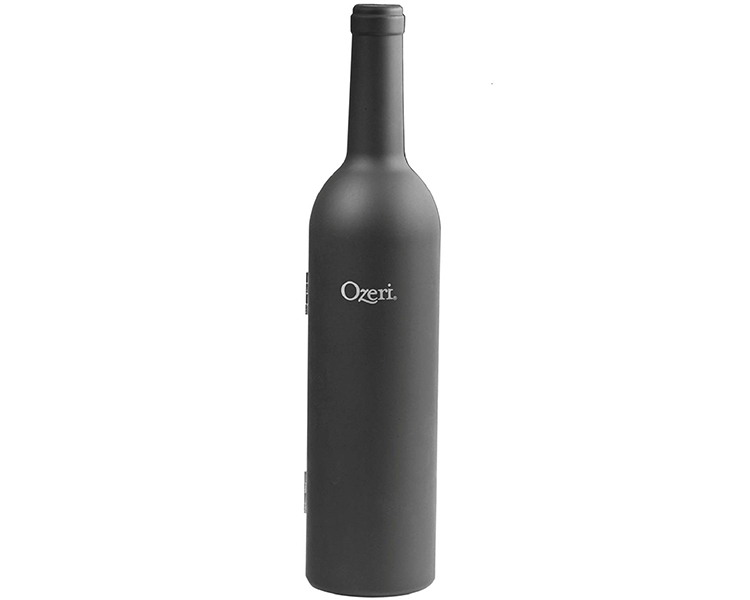 Shaped like a wine bottle, the Ozeri Wine Accessory Set opens and shuts into place with its magnetic locking mechanism. 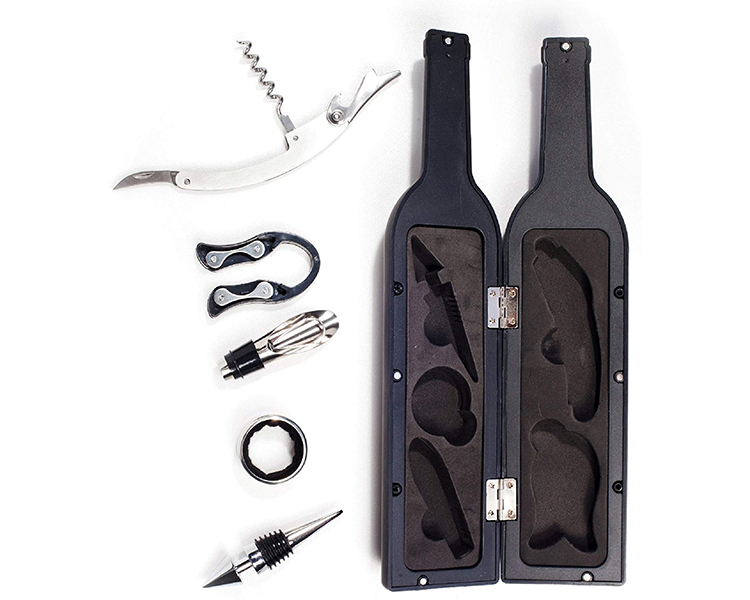 A perfect gift for any wine aficionado, the Ozeri Wine Accessory Set makes opening a wine bottle easy, exciting and entertaining. 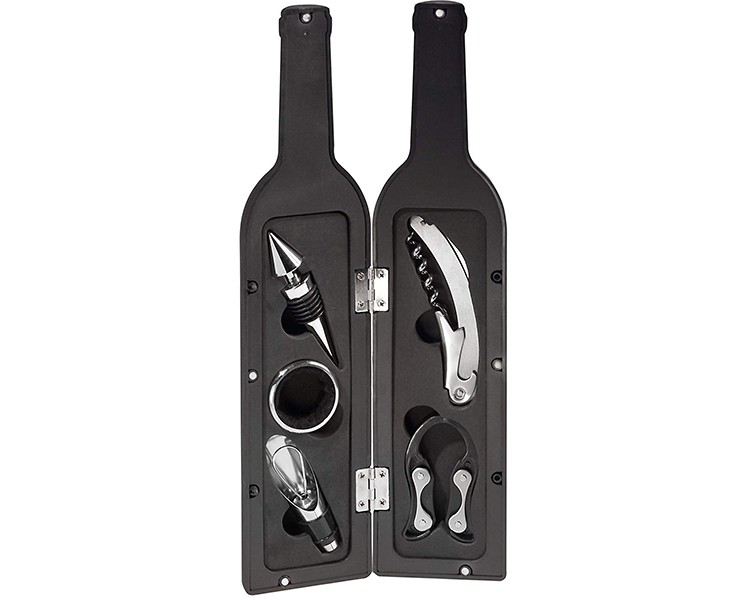 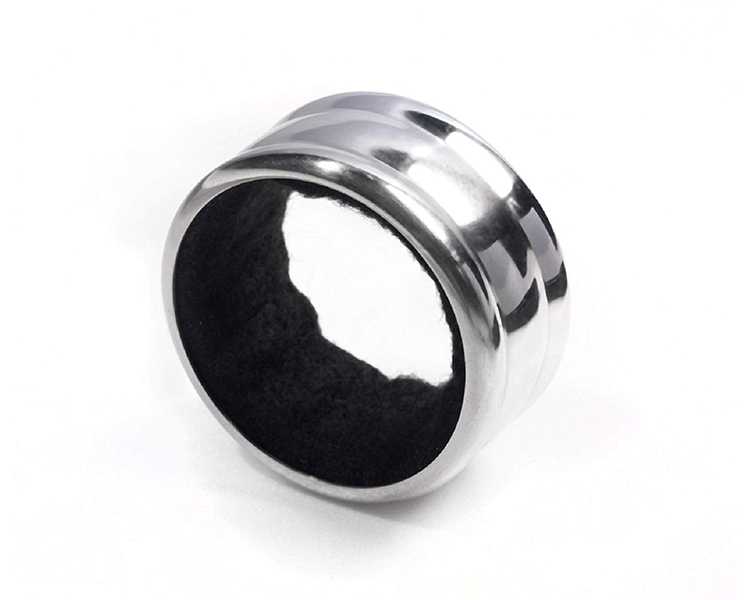 The Ozeri 5-piece wine accessory set is sure to command attention at your next gathering. 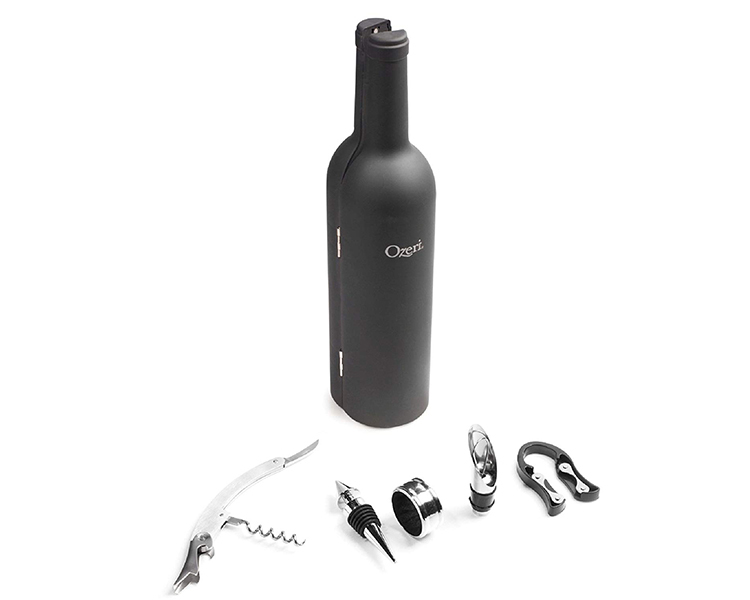 Ideal for every home and the perfect gift, the Ozeri wine accessory set is distinctively shaped like a bottle of wine while securely housing 5 durable wine essentials: a stainless-steel corkscrew with foil cutting knife, drip-stop collar, combination wine pourer/stopper, and foil cutter. 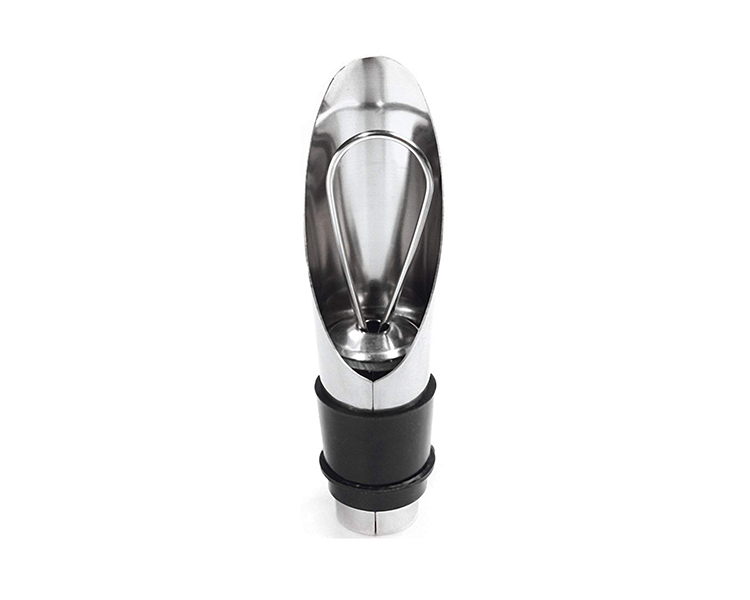 The Ozeri win accessory set encompasses all the tools needed to open and pour that special bottle of wine, and to preserve it for the next day. 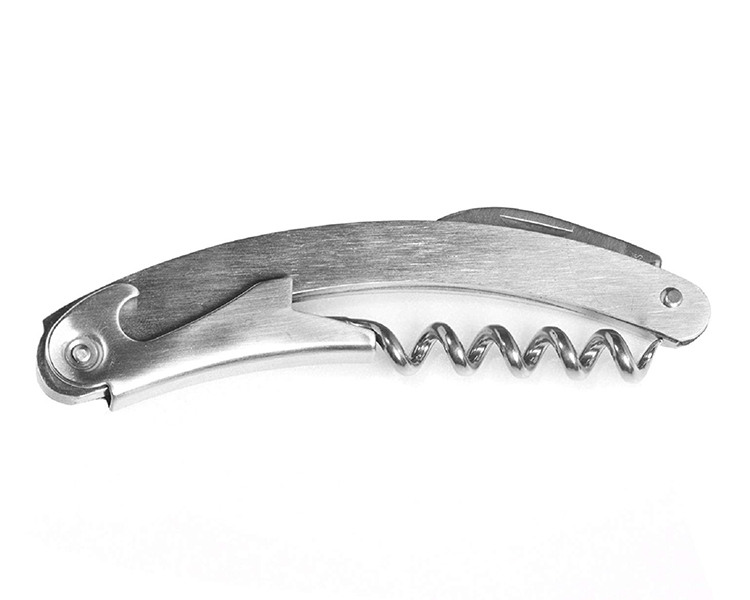 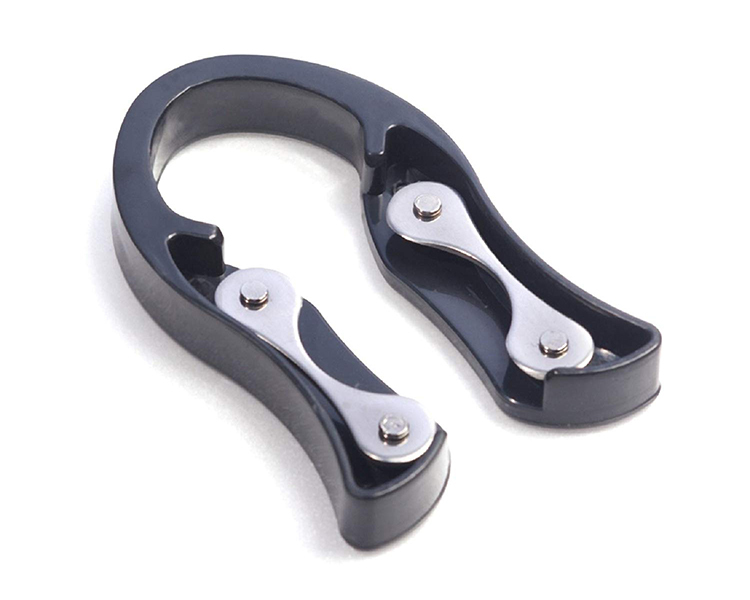 A friend to both the wine lover and Entertainer alike, the Ozeri wine accessory set Springs open to make all its wine tools available instantly, and snaps back into the shape of a bottle with its magnetic lock for storage on your bar counter or wine rack for the next occasion.